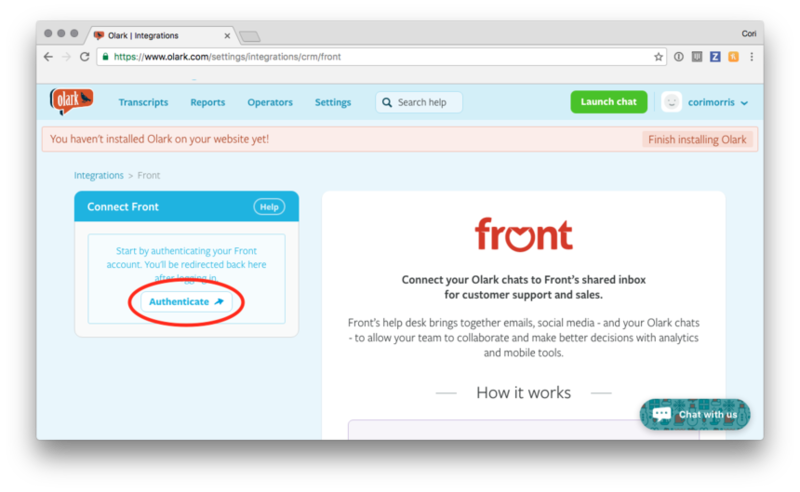 Olark allows you to live chat with your customers directly from Front ensuring all customer interactions occur in one unified place. 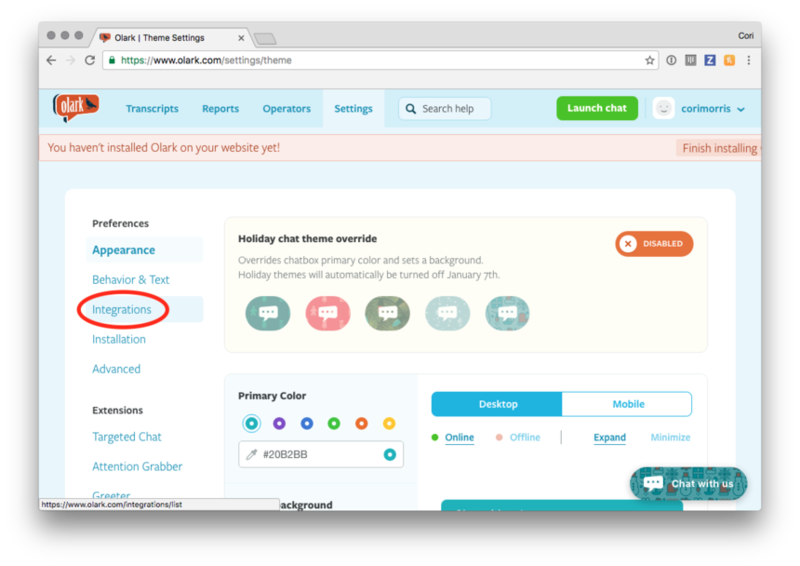 Log in to your account from the Olark website. Select Front from the Integrations list. You are now connected! 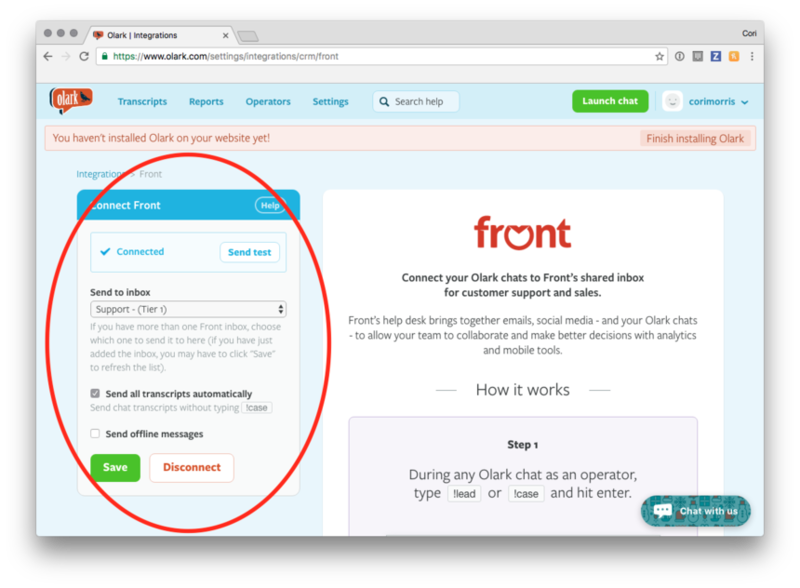 If you have more than one Front inbox, choose which one you want to send your Olark chats to. You can also send them automatically, and when you're offline. Once you finalize your settings, click Save, and test out the integration.